Pro-jectin audiofiili soitin. Pitkäikäinen soitin jonka ääressä kuuntelet nautiskellen. 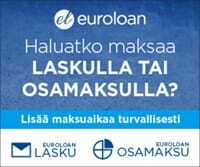 Värivaihtoehtoina pianomusta, matta pähkinä sekä matta palisanteri. 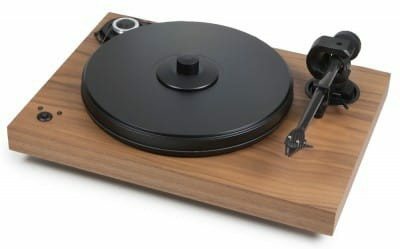 • Electronic speed control with 33/45 rpm speed change, which acts as “Speed Box” with ultimate speed stability • Precision balanced sandwich-platter with vinyl mat • Record clamp tightens record to platter • MDF chassis • Audiophile grade 9” EVO carbon tonearm • Inverted tonearm bearings (ABEC 7 quality) • 2M Silver cartridge with silver voice coils is pre-mounted • Available in 3 matt finishes: eucalyptus, palisander, walnut • Available in 3 high glossy finishes: olive, mahogany, black Outstanding performance from a compact and luxurious turntable configuration 2Xperience SB DC is based on the 2Xperience belt-drive concept which incorporates over 20 years of turntable design experience. The addition of precision motor control with electronic speed changing and a highend 9cc Evolution carbon fiber tonearm means playback quality is vastly improved. The heavy chassis is made from MDF using a non-resonant construction technique. The turntable platter is built with heavy, non-resonant materials in a precisely balanced sandwich configuration. A vinyl layer acts as the perfect turntable mat. A screwable and light-weight record clamp eliminates unwanted record vibration and rumbling of the main platter bearing. The audio performance of the final product benefits from the resonance-free platter, avoiding the ringing effect of common metal and glass platters. The 2Xperience SB DC is not only equipped with a highend tonearm, but comes with a pre-fitted Ortofon 2M Silver magnetic cartridge that makes use of silver voice coils. An acrylic dust cover is also included. Finishes are available in three real wood veneer options (eucalyptus, walnut, palisander) as well as three high-gloss finishes (olive, mahogany, black).